In the pharmacology world, compounding is the art of custom made medications. Taking various basic ingredients, the pharmacist puts together, or essentially compounds, the medication in the correct proportion, formulas, and suspensions (i.e. pills, creams, ointments, etc.) prescribed by the physician. Production of personalized medications can range anywhere from Hormone Replacement Therapy, otherwise known as HRT, to Impotency medications or commercially unavailable medicines. Compounding medications also include alternative suspension formats such as injections, oral washes, and flavored troches. Compounding is achieved through an essential triad relationship: the patient, the physician, and the pharmacist. The physician first prescribes the medication. The pharmacist then takes the necessary ingredients, compounds them, and dispenses the medicines to the patient after a thorough and personal consultation. This enables patients to receive the type of personalized care they need and allows the pharmacist to provided more patient oriented services; services that many times conventional pharmacies overlook. The practice of preparing medications by hand dates back to the origin of the pharmacy. Prior to the onset of large manufactures, in the 1930's and 1940's nearly 60 percent of all medications were actually compounded. Since then, the role of the pharmacist changed from that of a medical formulator to one of a dispenser of manufactured medications. Manufactures produce on a standard dosage size for every medication and in many cases this can pose a problem for the patient. 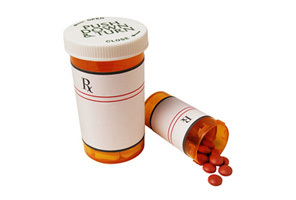 At Montana Compounding Pharmacy, a patient can have medications tailored to their individual needs.